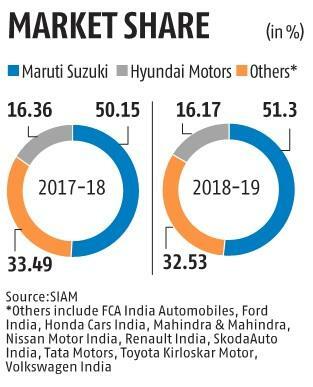 Market share gains were elusive for most passenger vehicle (PV) makers in 2018-19. As a whole, sales in India advanced by a mere 3 per cent in FY19, the slowest in four years. Of the 16 members in the Society of Indian Automobile Manufacturers (Siam), only four managed to gain share in the year that ended March 31. Three were the local arms of Japense entities Suzuki, Honda and Toyota. Tata Motors was the only Indian company that saw an increase, a marginal one. Though by small margins, these gains came at the cost of Indian, European and American PV makers and the marginal players got further marginalised, with drops in volume and market share. The current financial year, 2019-20, is expected to even tougher for these companies, with new entities in the market. Maruti Suzuki India, the leader, saw its share in the PV market inch up to 51.2 per cent, from close to 50 per cent a year before. Overall, sales volumes at the maker of the WagonR and Baleno models rose 5.2 per cent to 1,729,826 units. Hyundai is next, its share down marg­in­ally to 16.14 per cent, from 16.31 per cent. Albeit on a relatively lower base, Tata Motors (after ceding ground to rivals for years) saw its share in this market rise to 6.85 per cent, from around 6.4 per cent a year before; volume went up to 231,512 units, a 10 per cent increase. But, despite the gain, on the back of new model launches, it could not replace Mahindra & Mahindra from the third spot. Mahindra maintained the lead over Tata by selling 254,351 units, a year-on-year increase of 2 per cent. The Mumbai-based firm laun­ched three new models during the year (Marazzo, Alturas and the XUV3OO) but its share in the PV market slid to 7.53 per cent, from 7.57 per cent. It was a year of a strong comeback for Honda Cars India. Sales volume rose 8 per cent to 183,787 units, from 170,026 units a year before. The market share went from the earlier 5.17 per cent to 5.44 per cent. The gain was largely on the back of the Amaze sedan. Toyota Kirloskar saw its share increase by a small margin, from 4.28 per cent to 4.46 per cent. The top five accounts for more than eight of every 10 cars sold and the going got tougher for the others. 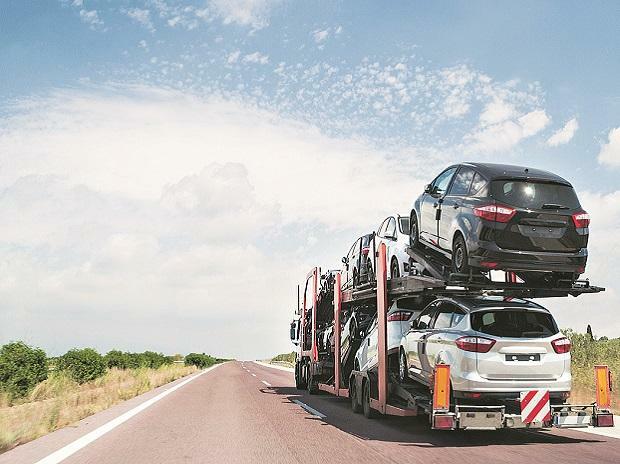 With more competition from newer entrants Kia Motors and MG Motors, and stricter legislation, which is set to push up car prices, the struggle for volume and market share will get tougher for the India subsidiaries of Ford Motor, Fiat Chrysler Automobile, Renault, Nissan, Volkswagen and Skoda.